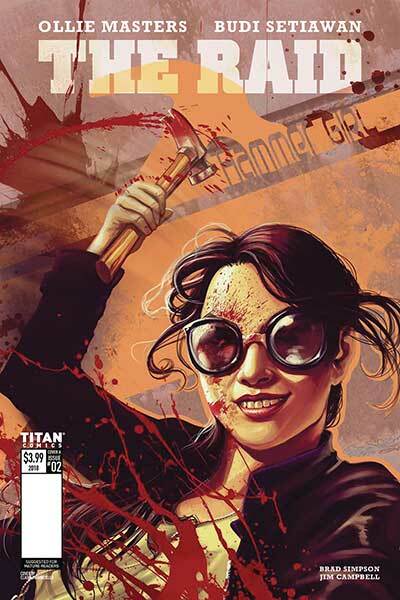 Picking up where the first issue left off, Hammer Girl and Baseball Bat Man show up at the apartment door of a heavily tattooed man who is genuinely surprised to see them there. Cut to the interior of a limousine driving through Jakarta. Inside, Bejo sits quietly. The driver brings him to a restaurant where he eats some food and then insults the chef that prepared it, going so far as to order him at knifepoint to ‘try again and make it better.’ Bejo heads out into the lobby where he meets Hansumu Utomo who has arrived to check out Bejo’s new business venture, the very restaurant in which they’re meeting. Utomo considers the food business in the area his territory and he wants a cut. Bejo tells him he’ll think about it and Utomo leaves, less than impressed. 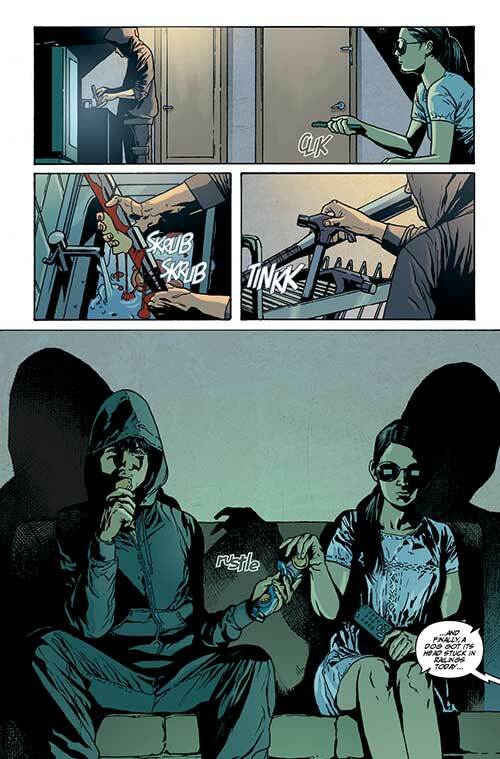 Elsewhere, Hammer Girl and Baseball Bat Man clean the blood off of their respective tools of the trade, sit down, eat come cookies and watch TV. In Jakarta Prison, Teja writes a letter to the governor while Yuda watches. Teja is insisting he be released from this ‘false imprisonment’ but Yuda knows that won’t work and he has a better plan: Teja pays him for protection – it’s the perfect cover. Of course, Teja wasn’t really writing a letter to the governor, he was writing a ‘to do list’ for when he gets out. Yuda then decides to get the message out that Teja really is under his protection, and things get violent. This second issue builds really nicely off of the first, expanding on the different plot threads that were laid down in that chapter and opening up a few more doors for the key characters. Masters writes this well, bringing a gritty sense of realism to the story that helps to ground it and to keep the characters believable. The writing here builds tension well, bringing us further into the underground of Jakarta’s criminal community and letting us witness firsthand the implementation of events sure to have ramifications in upcoming issues. And yet the issue doesn’t skimp on action. Once Yuda is under Teja’s employ, all bets are off and the prison becomes a battleground. This is where Budi Setiawan steps in. 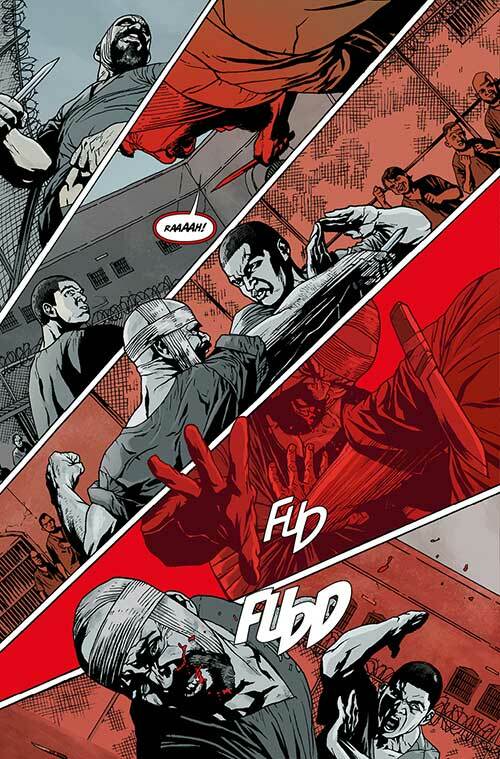 The guy draws action beautifully, bringing every hit, every shot, every kick to brutal, unflinching life. The action scenes in this issue hurt! There’s an intensity to the artwork here that complements the writing beautifully, turning Masters’ and Setiawan’s work into a truly cohesive collaboration. 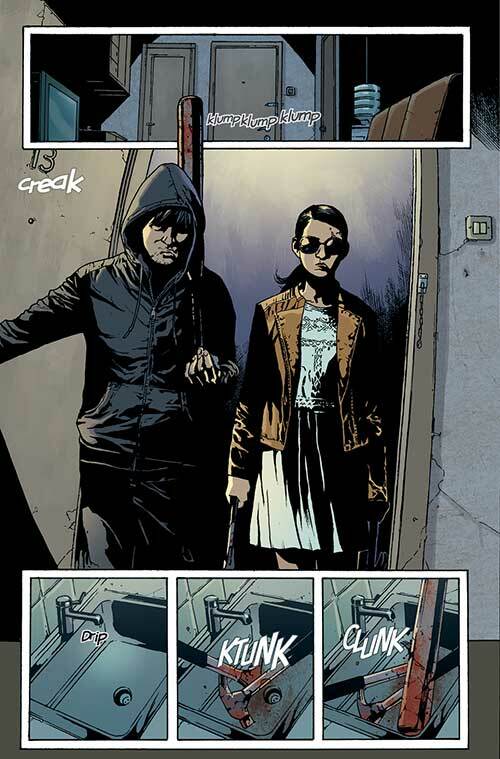 The coloring from Brad Simpson helps here too, but the detail and the flow of the art, Setiawan is the one who made that happen and he’s a huge part of what makes this series as cool as it is. Bring on issue #3.